Dangerous upload for me! I ordered the Power Purple Cool Racerback, No Limit Tank and Swiftly 1/2 Zip (not sure if I’d rather have just the LS). What did you guys order tonight? 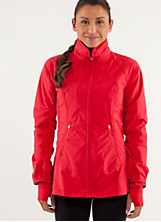 I love the look of the Run Make a Break Jacket but can’t justify it.